The National Highway Traffic Safety Administration has opened an investigation into 127,000 2013 Ford Escapes. Drivers complain that the cars abruptly stall while the vehicles are traveling on the highway. The National Highway Traffic Safety Administration reports that its Office of Defects Investigation is looking into 40 different reports of 2013 Ford Escapes abruptly stalling at highway speeds. The investigation involves 127,000 2013 Ford Escapes right now but may be expanded to include other engine types and model years. 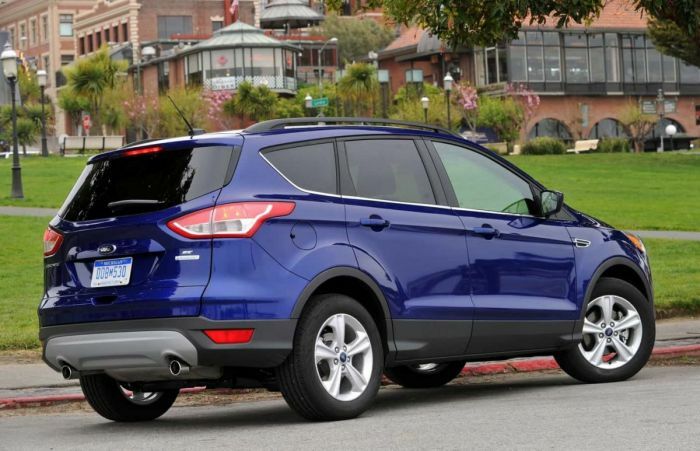 According to the notice about the investigation posted on the NHTSA site, “The Office of Defects Investigation (ODI) has received 40 Vehicle Owner Questionnaire (VOQ) reports for model year 2013 Ford Escape vehicles reporting that the vehicle will suddenly stall without warning while driving. The subject vehicles are equipped with a 1.6L GTDI (turbo) engine. Complainants allege stalling was caused by overheating of the engine resulting in delayed or no restart possible. According to the report, there have been two engine fires reported by the owners but so far there have not been any injuries. Ford Motor is cooperating with the federal investigators. Just five days ago, Ford announced it was recalling 550,000 2013-14 Ford Escape crossovers and 2013-16 Ford Fusion sedans because of a problem that could allow the vehicles to roll away when the driver believes the vehicle is in park. That problem was tied to a faulty connector on a transmission cable and is not believed to be connected to the stalling issue. In 2017, Ford recalled a number of other vehicles with the same 1.6L GTDI four-cylinder engine because the engines could start on fire because of a problems with a coolant leak. In 2014, it also recalled other vehicles because of problems with an electrical wiring harness, that could cause the vehicles to stall. It is not known if the current investigation is tied to either of those defects. At this point, NHTSA is in the preliminary investigation phase, depending on what investigators find, the agency could order a recall. According to NHTSA, this investigation is Preliminary Evaluation number 18-007. Anyone with similar issues in a 2013 Ford Escape should contact NHTSA.